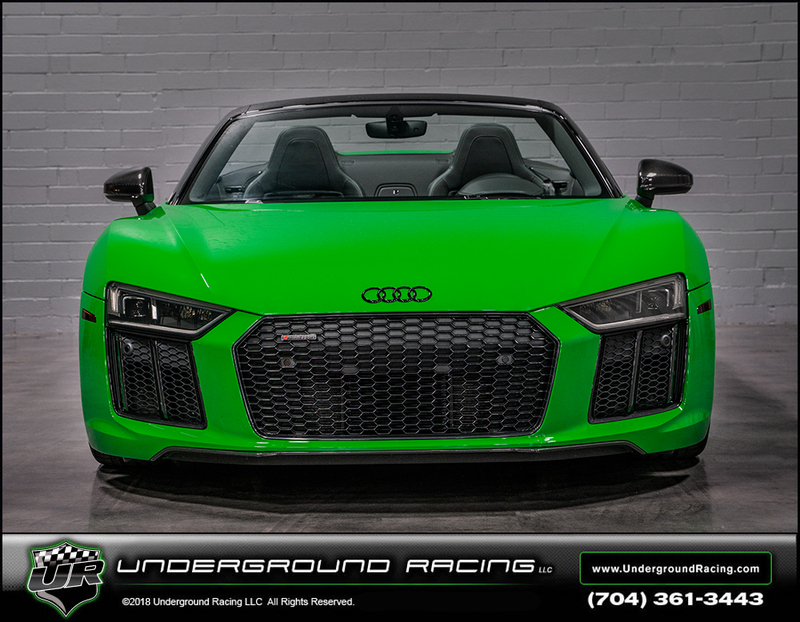 A new daily driver for one of the owners of Underground Racing, a new 2018 R8 Twin Turbo Spyder in the Audi exclusive green (non metallic). 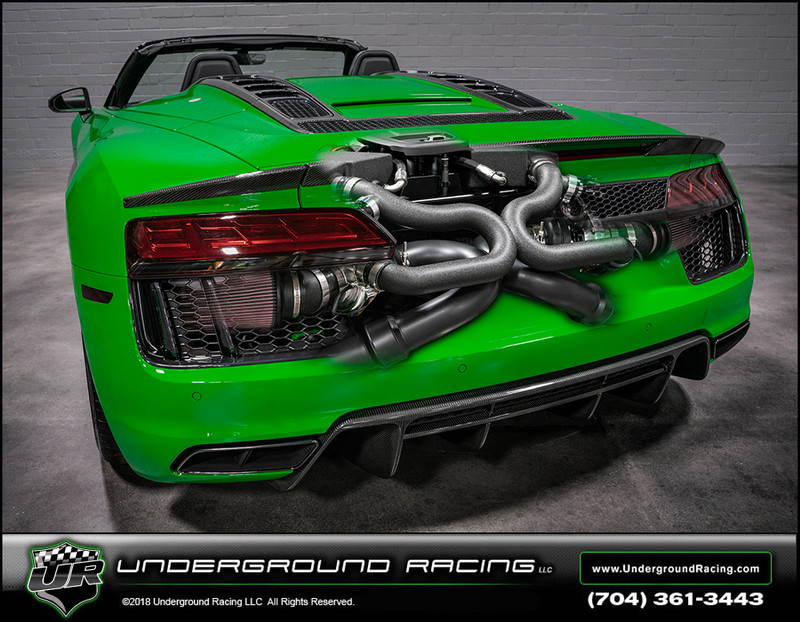 Kevin wanted to set this R8 up with plenty of power for the street so he went with the stage 3+ system that makes 1150 whp on pump gas and 1350 whp on MS109 race gas. This build has a fully built engine with billet connection rods, pistons, CNC race ported heads, custom spec street clutch setup with billet clutch cages and much more. 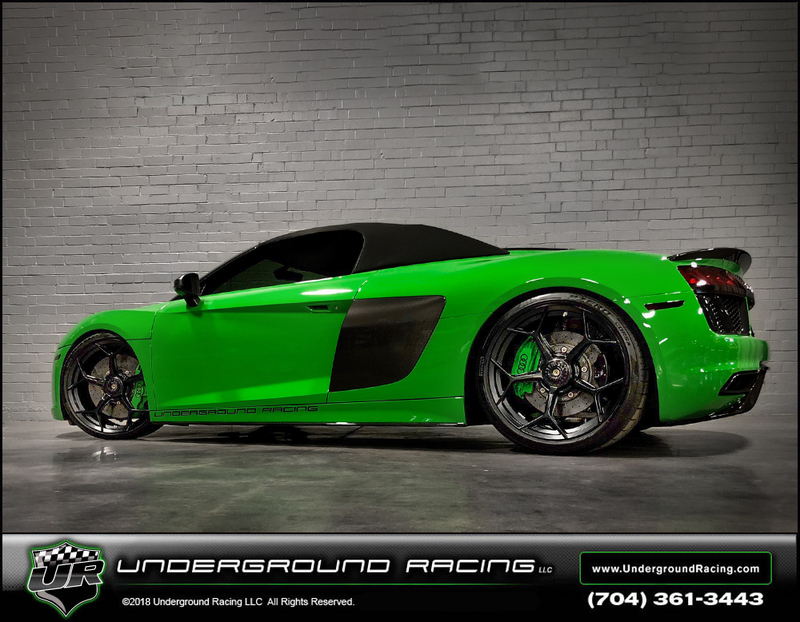 TCU tuning by KC Howeth and also has the JRR MoTeC M1 setup with boost by gear and race mode auto shift. We also added the center lock conversion hubs and the Performante wheels. 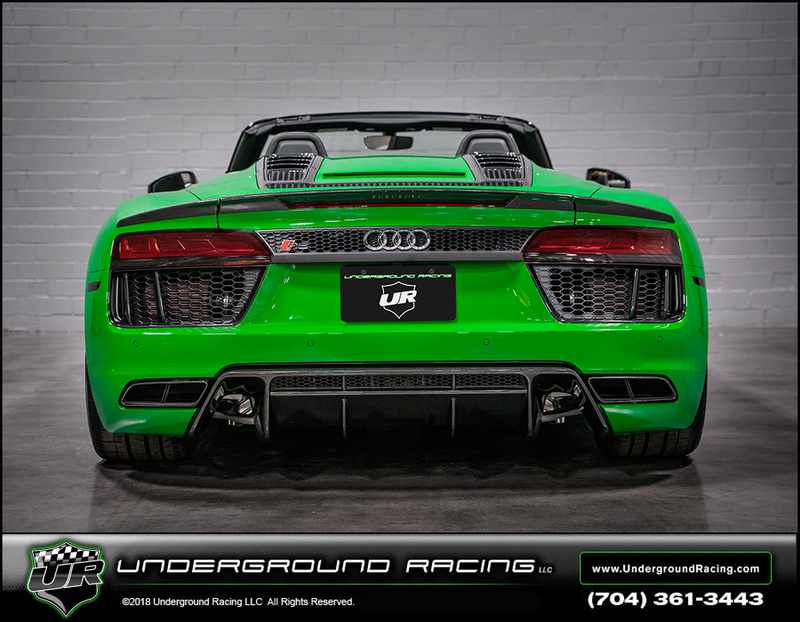 These builds come with a 2 year 24,000 mile warranty with a 6-8 week build time by appointment. That combo with those wheels just looks fantastic! 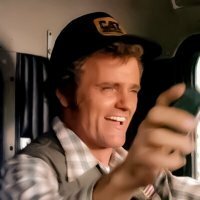 Man alive, that puppy has got to eat. Love the wheel combo on it. At first glance i wasn't sure, but looking it over, it settles well and looks sharp.